Susan is a family law specialist dealing with all aspects of family work including divorce, relationship breakdown, financial matters, Children Act applications, injunctions and care proceedings. Susan has just achieved Children Panel Accreditation, She is an Associate Solicitor in our Newport Office. She undertakes both private and legal aid work. Susan is an experienced advocate who adopts a client focused and constructive approach to helping clients achieve their objectives. 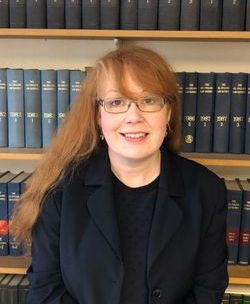 Susan obtained a Masters’ Degree from Sheffield University Law School in 1992, where she focused on the role of the police in cases of domestic violence. Susan worked as a researcher and lecturer for a number of years before deciding to practice law and qualified as a solicitor in 2009.